“What about Kingdom Hearts III?” fans have been asking at the announcement of every entry in Square Enix and Disney’s game series since Kingdom Hearts II in 2005. At E3 2013, fans were finally rewarded for their patience with a first glimpse of the long-awaited sequel, planned for the PlayStation 4 and Xbox One. Since then, news on Kingdom Hearts III has been scarce. The smartphone news is surprising, but not unprecedented. This won’t be Kingdom Hearts’ first foray into mobile gaming by a longshot: a non-canon spin-off was released in 2004 for Verizon’s V Cast service, while 2008 saw the mobile releases of Kingdom Hearts coded (which was later remade for the Nintendo DS as Kingdom Hearts Re:coded) and a social minigame portal called Kingdom Hearts Mobile. Last month even saw the reveal of concept art from a cancelled iOS/Android game, Kingdom Hearts: Fragmented Keys, featuring worlds from movies including Lilo and Stitch, Tangled, Wreck-It Ralph, Frozen and even Star Wars. D23 Expo, a Disney showcase, has been the source of some key (ehehe) Kingdom Hearts news in the past. 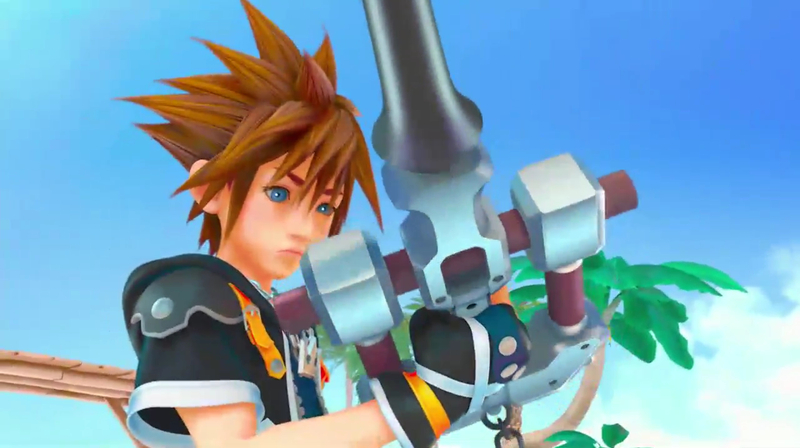 Japan’s D23 Expo in 2013 brought the announcement of Kingdom Hearts HD II.5 ReMIX, as well as brief gameplay footage of Kingdom Hearts III. This year’s D23 Expo Japan also promises a special “Kingdom Hearts Fan Event” in addition to the usual Expo festivities.